RIG radiators shell is made from 1mm steel, painted with electrostatic oven paint, and has linear orifice for the outlet of hot air. rapid and uniform heating of the entire surface, thus creating in a completely natural way strong thermal emission (infrared). Plus it doesn’t stain nor dirties the walls. The size of RIG radiator contributes in achieving maximum performance of the thermal emission inthe room and low power consumption. High quality thermal resistors are specially manufactured for RIG radiators. Each RIG Radiator contains two meander shaped resistances, evenly distributed in duplicate inside the radiator, producing quadruplicate powerful heat acceleration in a perfectly natural way. 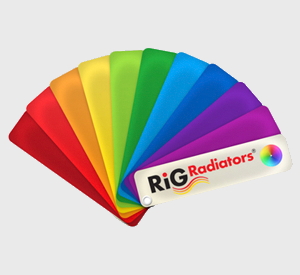 RIG radiators thermal resistances are specifically designed not to glow, to prevent air drying. With RIG thermal resistances, the radiator is heated evenly and reaches optimal performance, without requiring high power. RIG Radiator’s function is controlled by a high precision Celsius temperature display thermostat. The thermostat’s special feature is its placement in the bottom right of the radiator, in the cold spot of the radiator so that it effectively controls the air inlet space and temperature. As a result, when the temperature reaches the desired one, the thermostat switches of the radiator and stops consuming power. The thermostat will reopen the radiator when the temperature falls below the desired set point. The thermostat has a special setting in case it needs adjustment to the room temperature (calibration). This easy to use setting allows the radiator’s thermostat to become the room’s thermostat. RIG radiator is equipped with overheat system protection. If for any reason the radiator overheats, the electrical supply will stop automatically. When the temperature return to normal level, the radiator will restart its operation automatically. The design of RIG radiators ensures complete safety for children. 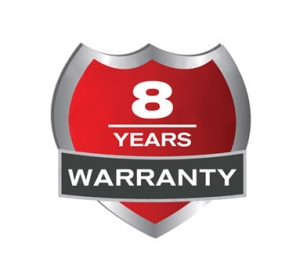 It is shielded so it doesn’t allow children to put their fingers in the linear orifice or throw small items or liquids within the area of resistances, ensuring complete safety and protection.